The leader of the California State Assembly says that there needs to be "better communication" between federal and state officials over undocumented immigrants who have been accused of serious crimes. 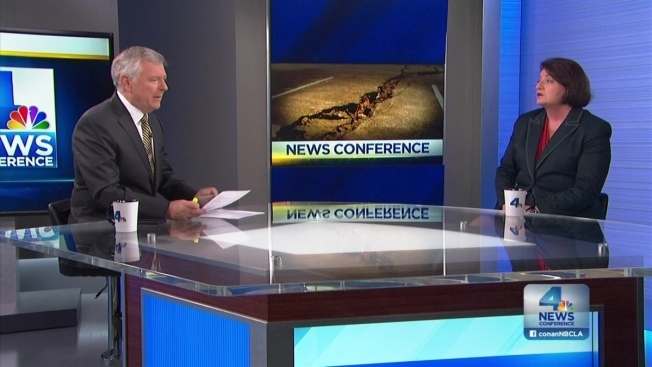 "The communication has to be there so we are protecting the public," Assembly Speaker Toni Atkins (D-San Diego) said in an interview on NBC4's "News Conference" program Sunday. "I think clearly the regulations, rules and communication between local law enforcement and ICE (Immigration and Customs Enforcement) have got to be clear and have got to be precise" Atkins said in response to a question about a shooting of a 32-year-old woman in San Francisco and the murder of a Vandenberg Air Force Base employee in Santa Maria. The suspects, who had criminal records, had been released into the community by local police despite formal requests that they be turned over to federal immigration officials for possible deportation. Atkins added that cooperation between federal and state officials must "balance rights of individuals and safety and protection." 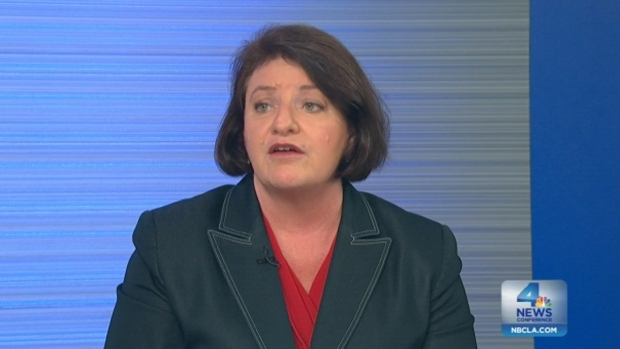 Assemblymember Toni Atkins (D-San Diego) says the public needs a clear understanding of the costs as well as the benefits of a proposal to cut gas use in the state by 50 percent over the next 15 years. The assembly speaker also defended the re-introduction of a bill that would allow for physicians to aid in the early death of terminal patients. The Atkins, a co-author of the new legislation, said she had a personal connection to the issue when dealing with her mother, who died of terminal cancer. "At one point she looked at me and said 'why am I still here?' And all I could think of at that moment was I wanted her not to be in pain," Atkins said. She currently is pressing for lawmakers to deal with the billions of dollars in needed improvements to roads, bridges and highways throughout the state. While she did not endorse a state Senate bill that would raise the gas tax by 12 cents per gallon, she did say the legislature would look at a "menu of options" during a special session on the topic now underway in Sacramento. On a personal note, the former San Diego mayor, the daughter of a Virginia coal miner, expressed pride at becoming the first openly lesbian to lead the state's largest legislative chamber. "I represent a community that hasn't always been part of the discussion or at the table," she said. "I grew up poor and that helped shape what I believe in, whether it is health care, affordable housing or education. I think I have a unique perspective. Everyone has a story, that's mine."